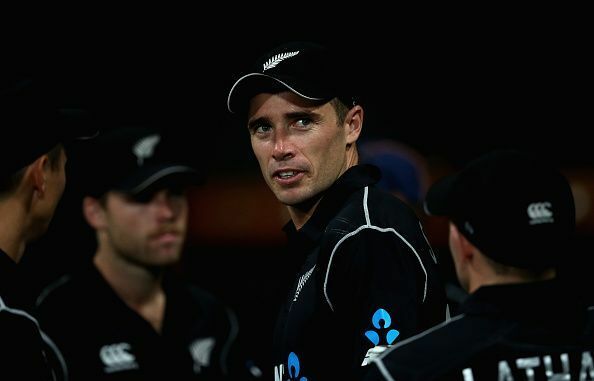 Tim Southee has been named captain of New Zealand in next week’s one-off Twenty20 match against Sri Lanka. Regular skipper Kane Williamson is to be rested along with Trent Boult and Colin de Grandhomme. Southee, who has captained New Zealand twice before, admitted that leading a side in cricket’s shortest form can be a bit of a gamble. “It’s about trying to stay a step ahead of the game and a little bit of guessing,” he said. All-rounder Jimmy Neesham and opener Martin Guptill, who starred when New Zealand won the first one-day international on Thursday, are also in the Twenty20 squad.